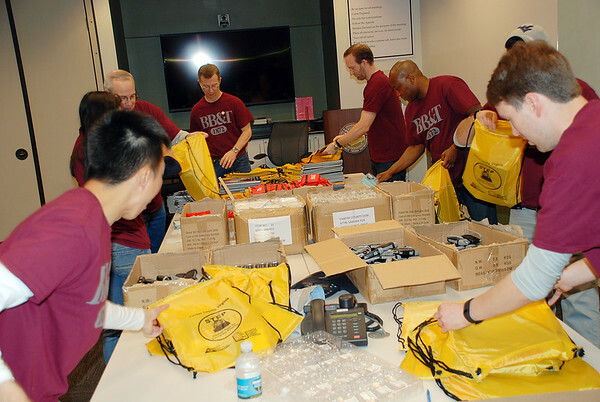 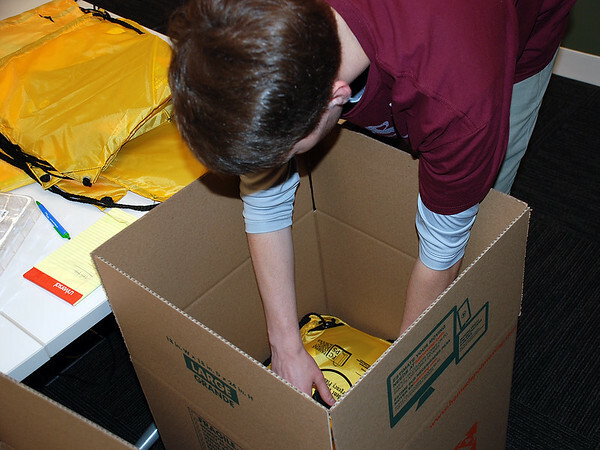 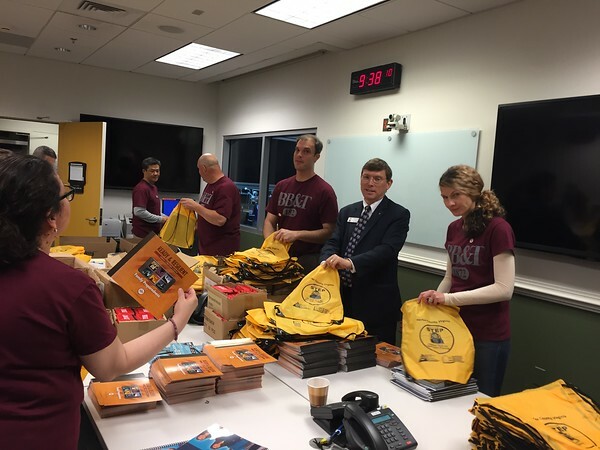 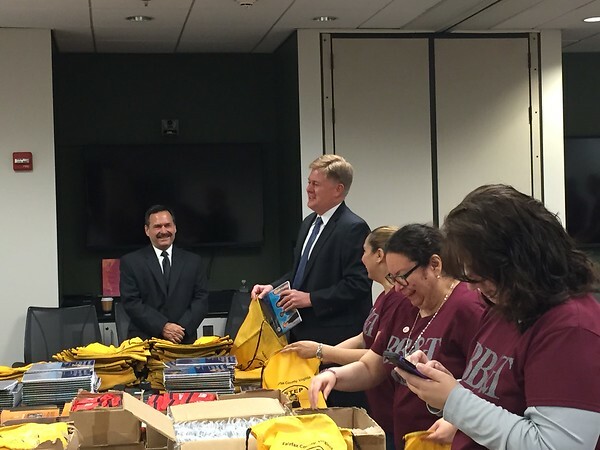 OP3 facilitated a volunteer opportunity where BB&T volunteers helped the FFX Co. Office of Emergency Management stuff emergency preparedness backpacks for the STEP program. 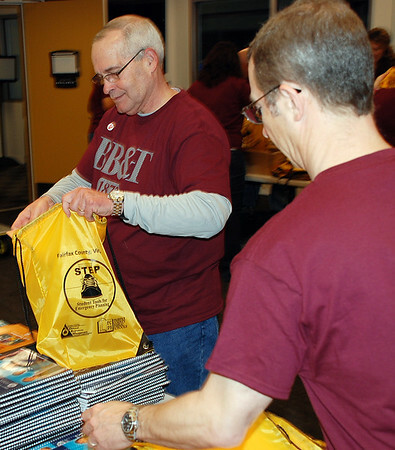 STEP stands for Student Tools for Emergency Preparedness. 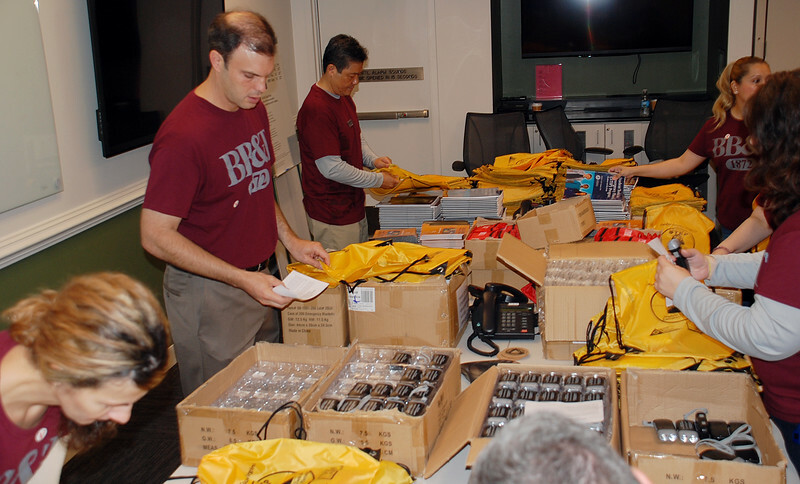 It is a FEMA sponsored classroom-based emergency preparedness program. 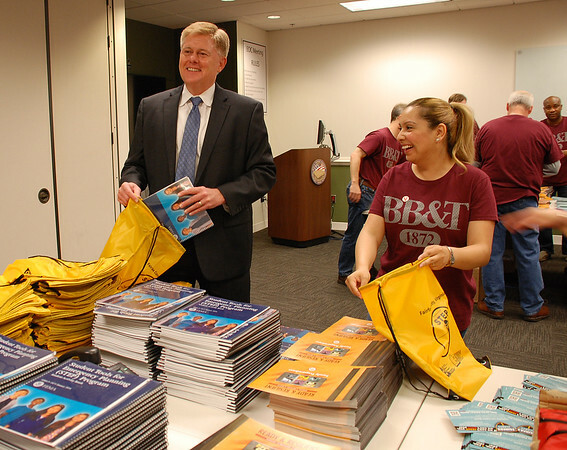 It provide curriculum for fourth and fifth graders with an easy, ready-to-teach format for teachers.This year 21 FCPS schools registered to provide this program to over 2,200 students! 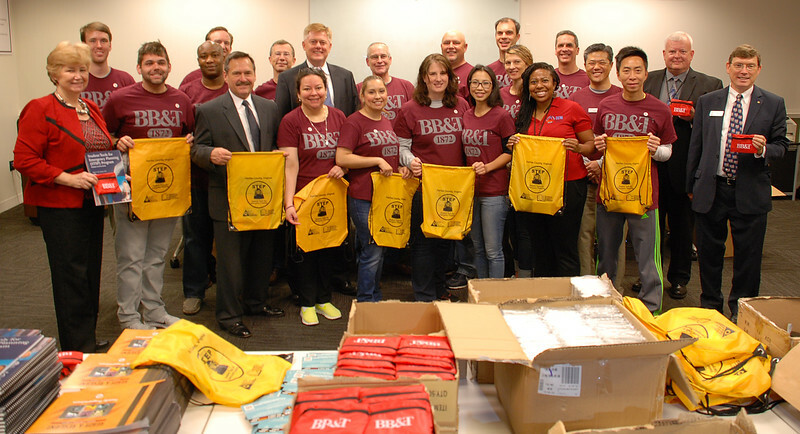 BB&T Bank sponsored the STEP program by purchasing the first-aid kits and providing a volunteer team to pack each backpack!